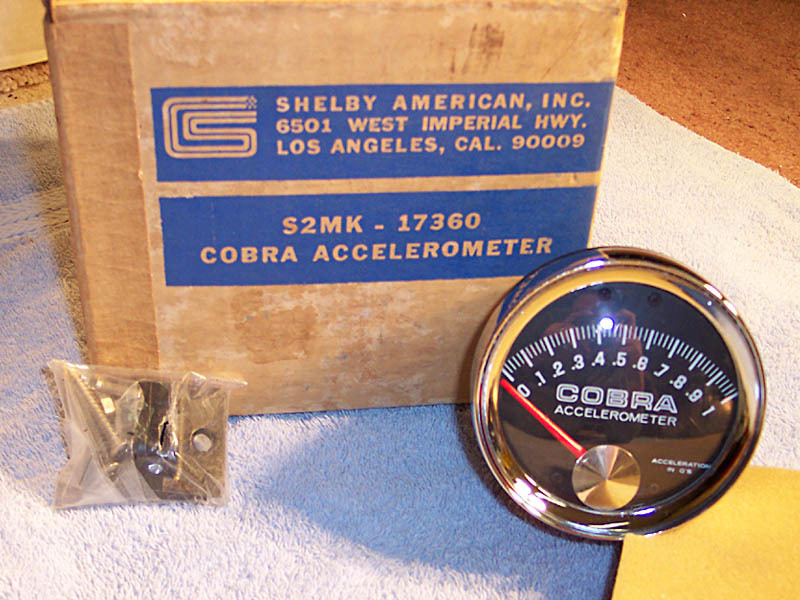 NOS Cobra Accelerometer, actually made for 1966. A relatively worthless part in terms of function, it measures 10th's of G's during acceleration. The thought was that you could make gear ratio changes, carb jet changes, cam changes, etc. then determine if the modifications yielded quicker acceleration. The kit sold for $38.95 in 1966.